The eden raised garden bed 4ft x 4ft x 17.5in 3 level is a great addition to any garden or landscape. 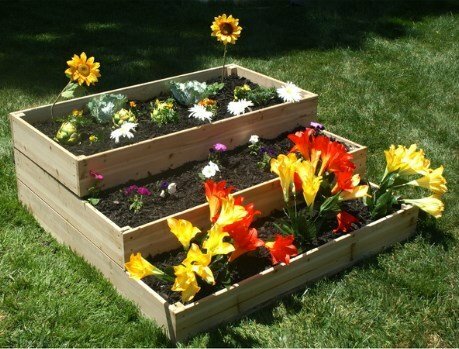 The Eden line of raised garden beds is a functional alternative to in-ground gardens. Constructed from solid fir wood (which is rot resistant) and easily assembled with no tools needed, takes on average a few minutes to assemble. The custom design allows for a solid raised garden bed with minimal efforts and again no tools needed for assembly. The kit includes 3 tiers of growing that can be separated as individual growing beds, or stacked to create a 3 tier growing environment.